Big News for the social media community! 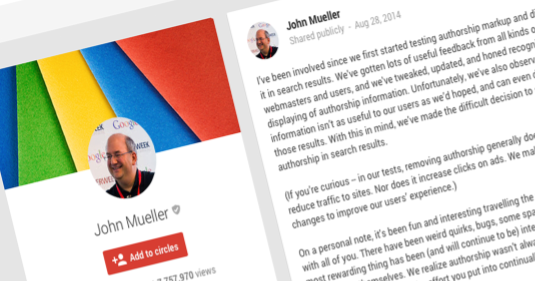 On August 28th, 2014 John Muller announced on Google+ that Google Authorship program is coming to an end*. For those who are unfamiliar of what this experiment was; it began in 2011. The idea was to help minimize spam in the search engine results page (SERPs) by listing the authors and linking them to their posts. 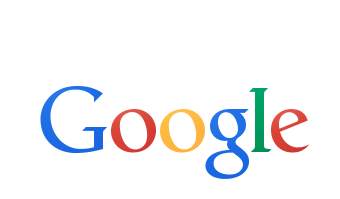 With all the other participants in the social media world, Google tried to join the game but was a little late. This is a great example of how the social media world is ever changing. So why did Google pull the plug? After a long three years the decision was made in order to improve user experience. Mueller explained that the Authorship program shut down due to the low adoption rates by authors and webmasters; and was not providing value to end users in the SERPs. Google is always testing and perfection their products so it is not surprising why they have shut this idea down-upon their disapproval. For more information on how Google Authorship operated; check out The Social Buzz Lab’s previous article The Author Rank Building Machine Infographic. There is an interesting inforgraphic by Daniel Dannenberg that explains it all. This is worth reading for a more thorough breakdown of Google Authorship. Eric Enge and Mark Traphagen also composed a wonderful article “It’s Over: The Rise & Fall of Google Authorship for Search Results.” It goes into greater detail about the experiment of Google Authorship, the history, studies about the program and why things didn’t work out. This is a great piece to read if you are, were, participating in the program and want to find out how Google pulled the plug. Read full article from Eric Enge Click Here. More from Mark Traphagen Click Here. You’re Freakin’ Kidding Me… You’re Not on Google+?